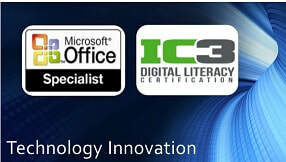 We are offering FREE (MOS) Microsoft Office Specialist Certification! And FREE IC3 GS5 Certification! ​Take your classes on line with our free Distance Learning program! This program provides flexibility of learning in the convenience of your own home. Some pre-requisites do apply, so if you need more information about our DL program, please contact Ms. Ornelas at (956) 698-2919 or by email: eyornelas@bisd.us. BISD ACE Consortium for Cameron County strives to meet the needs of our community by educating adults with English as a Second Language and Adult Basic Education (GED) to learn to communicate effectively with others, become independent, and be current with trends in employment and higher education. Our goals are that all students will further themselves personally, via workforce, military, or post-secondary education; and, that they will develop an awareness of community resources, both public and private. M. Guerra Community Annex Blvd.